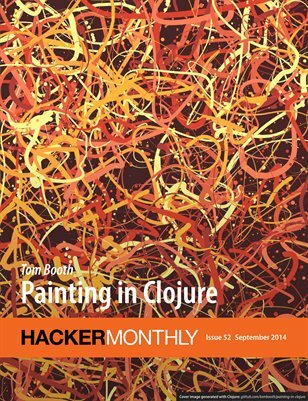 This September, we feature "Painting in Clojure" by Tom Booth and "Inside the Mirrortocracy" by Carlos Bueno. And, we have "SSH Kung Fu" by Tyler Langlois, "Finding The Perfect House Using Open Data" by Justin Palmer, "A Proper Server Naming Scheme" by Aaron Bull Schaefer and more. Lastly, don't miss "The Technology" from Paul Buchheit's talk at Startup School Europe.